An exciting opportunity has arisen for a Family Solicitor to join our Richmond office. We are seeking an ambitious Family Solicitor who will be proactive in developing the department. A multi-disciplinary solicitor would be preferred, particularly with a following. We are a well-established and multi-office practice. We have been serving the community for over two decades. The focus of our dedicated team is to provide a high level of client care. We are a small team but highly effective in getting results. 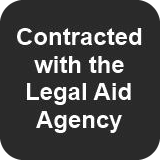 We offer a comprehensive range of legal services to individual and commercial clients. Our office is located in the affluent area of Richmond, 5 minutes from the station and only 15 minutes from Hammersmith on the tube. The firm recognises the importance of this hire and is offering a real opportunity for personal and professional development. If you would like us to consider your CV, for any upcoming positions, please email your CV with a covering letter to recruitment@douglass-simon.com. We welcome interests from experienced solicitors/caseworkers as well as law and non-law graduates of high academic ability who can contribute enthusiasm and commitment to our team. We are looking for intelligence, versatility and personality combined with the desire to succeed. Ultimately you will share our passion to deliver the highest level of client service and bring your unique quality to helping our clients succeed. We recognise the importance of gaining valuable legal work experience and strive to provide an enjoyable yet challenging work experience scheme. The overall aim of the scheme is to provide insight into what life is like at Douglass Simon. The scheme is open to all students who are considering a career within the legal sector and who are currently studying an undergraduate degree (law or non-law degree or equivalent) and GDL/LPC students. To apply, please email your CV and cover letter to recruitment@douglass-simon.com with the email subject ‘Work experience’. Cover letters must include details of the areas of practice candidates are interested in working in.